Smart Home Solutions has been at the forefront of the Electronic Lifestyle industry since 1996. We pride ourselves in maintaining unparalleled standards for technical excellence, innovation and customer satisfaction. New components are subjected to the rigorous testing and evaluation behind SHS "Proven Appropriate Technology" philosophy before they considered for selection in our product range. SHS select products from the most reputable suppliers with the most reliable equipment and the most professional back up service. These products are chosen for individual projects, based on requirements and budgets. 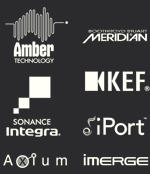 SHS is proud of our long association with our major suppliers who are also members of CEDIA. RTI specialise in advanced control products for automating the operation of audio, video and environmental management systems such as lighting and HVAC. Audio Products Group Pty Ltd (APG) is recognised as a leading distributor of premium A/V products. Resellers of Pioneer high-tech entertainment and electronic products including the "Susano" range of Full HD receivers and Blu-ray players which are not available through the retail networks. Stewart continues to design and manufacturer innovative screen products for both the home and commercial markets, bringing the same quality and innovation to all viewing environments. Supplier of specialist motorised mounts and lifts for wide ranging applications. Smart Home Solutions are certified specifiers and installers of the Ness M1 range of security products. The M1 range allows for seemless high level integration into the home automation systems giving the end user a superior overall experience. Smart Home Solutions recommends the Nec Topaz PABX system. This system offers a superior number of functions that can be activated through programming.